Hulk and the God of Thunder are going on a cosmic road trip in Thor: Ragnarok. But their contentious relationship won't be the only intense chemistry on display. 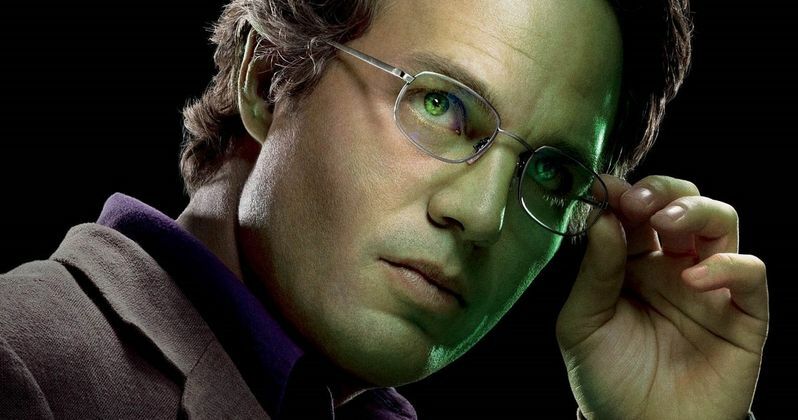 If star Mark Ruffalo gets his way, scientist Bruce Banner will have to do a lot of internal digging, which should bring him face-to-face with his psyche. And it could even see Hulk and Bruce facing off in what might be the movie's biggest fight scene. About the green goliath confronting puny Banner, Mark Ruffalo had this to say to Huffington Post. "I am excited to keep coming back to this role. I see a lot of space for it to grow. I feel like there's a lot of cool stuff to explore still, especially the relationship between Banner and Hulk. Hopefully, we'll see the two of them in a scene together. That would be cool!" When the news first broke that Hulk is showing up in Thor: Ragnarok, many thought we wouldn't see much of scientist Bruce Banner in human form. But that's not true. It sounds like Bruce will be front and center. About his role in Thor 3, the actor would only say this. "I play Dr. Bruce Banner, and occasionally I turn into a big green, mean monster." As far as Hulk fighting Bruce Banner, some less informed fans might think this impossible, since they're the same person. Perhaps the fight will take place inside Banner's mind? Or maybe not. In the Incredible Hulk comic book issue #315, superhero and psychiatrist Doc Samson successfully separated Hulk from Bruce Banner. Bruce is able to make Hulk see hallucinations in the comics. Doc surmised that Bruce was a conscious entity resting within the Hulk. And thus, he proved that they could function apart from one another. Samson convinced the government to refinance the gamma base, and they paid to have the two entities separated from each other. But when the transfer occurred, Hulk was left without a mind and went mad with rage. S.H.I.E.L.D. captured Hulk to protect the world, but the big green beast broke free and went on a full on rampage. Iron Man, Namor, Hercules and Wonder Man all teamed up to stop the behemoth, but they were unsuccessful. There was no limit to the Hulk's rage without Bruce inside to control the emotions. Once Bruce awoke from his comma, he formed a new group of Hulkbusters to take the Hulk down. At the end of the day, the two had to be remerged. In the final issue of the Fear Itself comic book, it is revealed that Hulk has the power to separate himself from Bruce without assistance. Will any of this make it into Thor: Ragnarok? No plot details have been revealed just yet. And it isn't even known how Hulk winds up on Asgard, as he was last seen taking a Quinjet to parts unknown at the end of Avengers: Age of Ultron, with some believing he crashed into the sea. Some speculate that Thor: Ragnarok will actually be working in some of the Planet Hulk storyline, but that hasn't been confirmed by anyone associated with the project. Thor: Ragnarok is reuniting Mark Ruffalo with his Avengers: Age of Ultron co-star Chris Hemsworth, who plays the Norse God Thor. The movie is being directed by Taika Waititi, with a screenplay by Craig Kyle & Christopher Yost. The sequel is sure to be epic, and begins filming this June in Australia. About how many more movies Mark Ruffalo will appear in as the Hulk, the actor had this to say. "I don't want to overstay my welcome and I hope I never do," he said. "If I do, I'll be the first one to bow out." What do you think? Should Bruce Banner and Hulk separate for one of the most unique fights ever seen on screen in the MCU? Or should they battle it out in the mind? Or should they not even fight at all? Hopefully we'll learn more as production continues to move forward. The next Phase 2 movie is Captain America: Civil War, which has already been shot and will be in theaters this May. Doctor Strange will follow, and will shoot before Thor: Ragnarok, with production kicking off later this year.